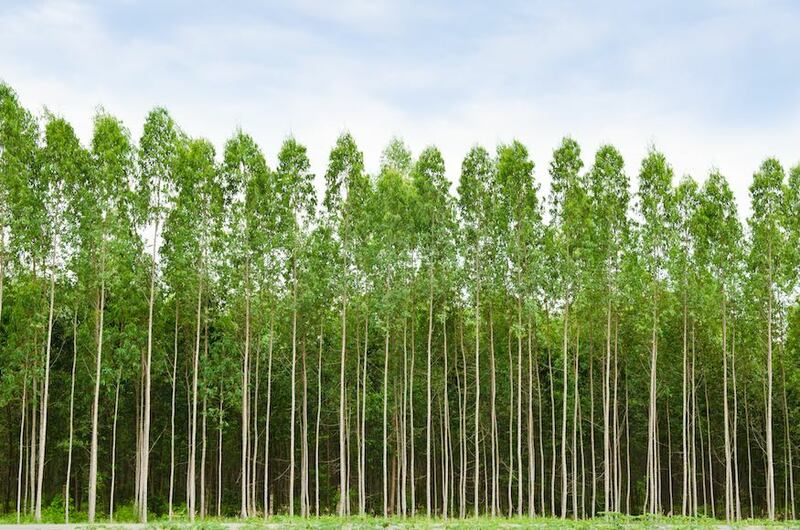 Lyptus is a trademarked name that is used for a hybrid of two Eucalyptus species. It is grown sustainably on plantations in six Brazilian States: Espírito Santo, Bahia, Minas Gerais, Rio Grande do Sul, São Paulo and Mato Grosso do Sul. This particular species was developed for fast growth and younger harvesting. 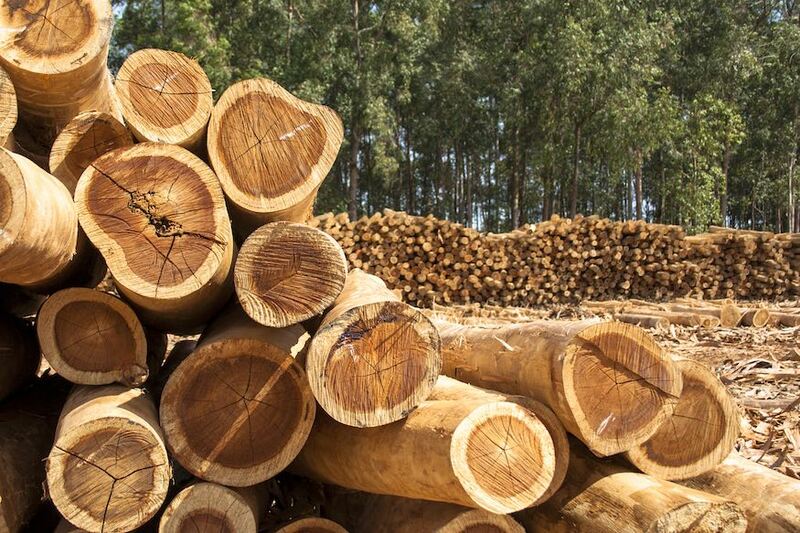 Lyptus can be harvested up to fifteen years sooner than other hardwoods that grow in cooler climates, and because they are grown on plantations, using lyptus can help to minimize the depletion of old growth forests that provide and preserve sanctuaries for its native ecosystems. Most often compared to Maple, Lyptus can also be an environmentally friendly alternative to Oak, Cherry, or even Mahogany. Lyptus has straight and even grain, often with few knots as it is pruned its entire life on the plantations. Its heartwood is often a medium pink color but can also range to a deeper orange-red color, while its sapwood is often much paler in color. The heartwood core is very large and its density increases as the color darkens. 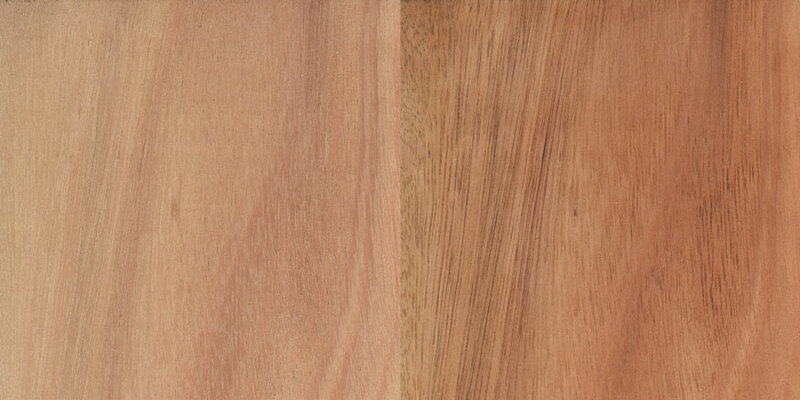 The lighter color heartwood can often be related to Ash or Birch in density and the darker colors can be compared to the density of Hickory. Like Cherry, Lyptus tends to darken with age and light exposures. Lyptus is attractive to consumers because it is a "green" economically friendly wood species that is abundant, easy to attain, and very affordable. It is also a very attractive wood in finished product. Its fast growth rate keeps the supply renewable and high which in turn keeps cost down. Its density and close grain structure makes it an excellent choice for kitchen cabinetry, architectural millwork, custom furniture, and even flooring. 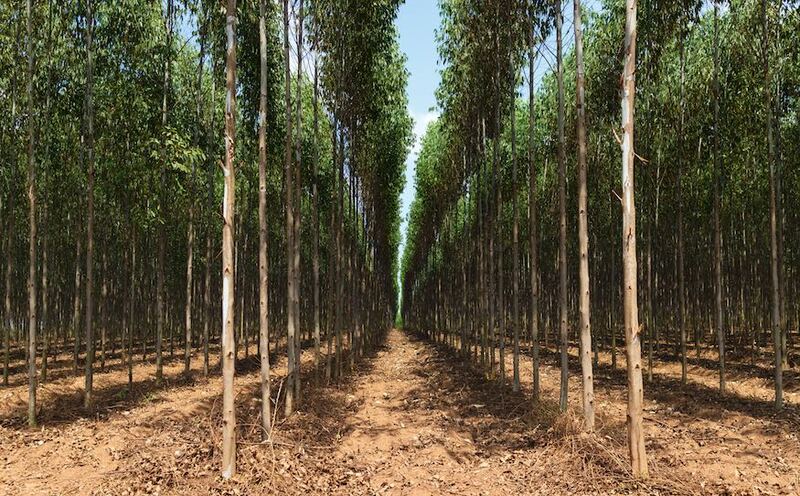 Being that Lyptus is grown on plantations, it is controlled environmentally and yields large quantities of the highest quality wood. Its durability makes it resistant to dents and dings often associated with wear and its outward characteristics often resemble Mahogany and other like woods, making it an excellent substitute for endangered, restricted, or more expensive hardwoods. Overall, Lyptus provides a beautiful and durable end product that is both environmentally and economically friendly. Lyptus is a very nice wood to work with. Its density and grain make it easy to mill and manufacture. It sands well and finishes nicely, accepting all types of finish and pigments. Blotching is rare, due to its uniform grain and it can easily be manipulated by setting it in the sun for a couple days. This will darken the wood and can even out any uneven textures. Lyptus sands and glues well and also takes nails and screws nicely. In machining, we love that it is a hard wood, but it doesn't produce the fuzzies that Mahogany (or Mahogany alternatives) produce, and it does not tear out or chatter like other hardwoods with knurled grain do. Like the look? Contact us to get started on a custom woodworking project of your own using Lyptus.